Roulette is one of the worlds most famous casino games, popularised by glamorous Hollywood movies such as Oceans Eleven and Casino. Today this exciting game of chance can be enjoyed in casinos across the globe, or even from the comfort of your own home. Although you’ve probably played roulette before, you may be unfamiliar with the rules. In French the word roulette means ‘little wheel’, and the spinning wheel is the key feature of game, providing the spots for patrons to place their bets. These spots are numbered between 1-36 with additional slots of either one or two zeros. A ball is spun by the dealer in one direction while the wheel is spun in the other, eventually coming to rest in one of the slots. The aim of the game is to accurately predict which slot the ball will fall into, by placing a bet on the chosen number. Gamblers can predict a specific number, range of numbers, or a colour, but the odds diminish correspondingly. The traditional version outlined previously, is the most common form of roulette. However, in an attempt to add some additional excitement to the game, over the centuries a range of variations have been developed. The introduction of online casinos and live dealer roulette has added more options for players than ever, so trying to choose which type of game to play can be sometimes be quite confusing. Thankfully once you’ve understood the basic rules you’re more than halfway there, with most variations simply adding tweaks to the theme. In an attempt to help you get your head around it all, the most popular roulette variations are outlined below. European roulette is played on a wider table to the conventional form of the game, with a single zero and alternative numbering of the slots. Like all forms of the game the house have an advantage over the player, in this form the advantage is 2.7% on a single number stake. Roulette arrived on the shores of America in the 18th century, by the 19th century it had evolved into the popular form we know today. The American version uses both a single and double zero pocket on the roulette wheel, increasing the range of numbers on offer to 38. Consequentially, this improves the house advantage to 5.26%, making it more difficult for punters to be successful. In spite of the house having an increased advantage, this form of roulette is one of the most popular versions of the game. French roulette originated in the 17th century and is actually the first known version of the game we know and love today. Over the years the rules have diluted down to form the modern version, but recently French roulette has undergone something of a renaissance. If you want to play this version well, you’ll need to be aware of some unique rules that add to the complexity of the game. En Prison rule – this rule allows players to place a 50/50 bet on red or black, then take half the stake back or leave it on the table for the next spin. La Partage rule – This rule benefits players when the ball lands on 0 during a 50/50 bet, as half the stake is returned. This provides players with an additional advantage over the house. 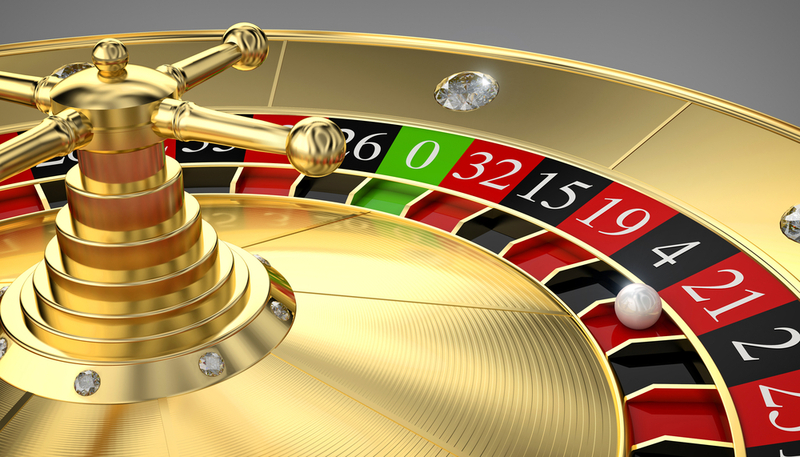 The age of online casino betting has revolutionised the game of roulette. Now punters can enjoy French, European and American roulette from the comfort of their own homes. Features such as high tech betting interfaces allow the user to quickly place bets, play several tables simultaneously and even review history charts to help pick those lucky numbers. The online format is proving hugely popular with players, many of who are coming to the game for the first time. Whereas historically American roulette was the most popular version, savvy punters who are mindful of the odds are choosing instead to support European and French versions of the game. Texas Hold’em- Strategy, tips, and general review of this intense casino game! Copyright © 2019 Casino Reviews Online.